Startup electric-truck maker Rivian has generated enough buzz so that 1,000 of its reservation-holders came to New York – on their own dimes – just to see the vehicles in person. 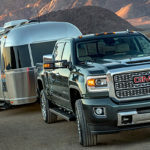 Electrification will be strongest with medium-duty and delivery trucks followed by the heavy-duty sector, but full automation is still decades away. Porsche will begin building its first all-electric utility vehicle, the Taycan Cross Turismo, next year as a rival to Tesla’s Model X electric SUV. Electric trucks are in service now, and fleet owners must decide how best to provide their vehicles' charging needs. Autonomous trucking won’t displace drivers, according to an investor report from Piper Jaffray & Co.
California startup Thor Trucks says its battery technology combined with AxleTech’s e-axle has uses beyond its ET-1 heavy-duty tractor, due in 2019. Workhorse begins producing lightweight electric step van with 100-mile range and 6,000-pound payload for UPS and other customers. The Bollinger all-electric B2 pickup truck turns the company's B1 SUV into an electric vehicle with more carrying capacity. The affordable Ram 1500 eTorque system makes a strong case that mild hybrid is the first step to mass-market electrified pickup trucks. New Flyer and ZF Building 100 Electric Buses for U.S. Bus manufacturer New Flyer of America will build 100 buses with an electric axle from supplier ZF Friedrichshafen for four U.S. cities by 2020. 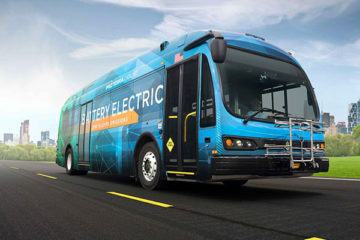 Daimler Trucks bets heavily on electric bus development by investing in Burlingame, Calif., electric bus maker Proterra. he Shore to Store Project will put 10 new zero-emission fuel-cell-electric Class 8 trucks on the road to move cargo between the L.A. port and destinations.